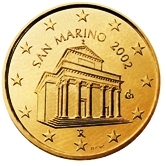 San Marino was one of the founding members of the Euro zone and started minting coins in 2002.The Commemorative Coins are stunning and that of 2010 perhaps the most attractive of all Commemorative Coins. Check it out ! 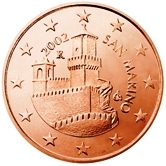 Some basic facts relating to San Marino. 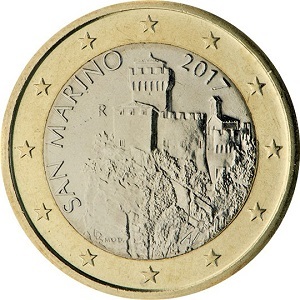 San Marino is one of the four states (the others are Andorra,Monaco and the Vatican) that, although not members of the European Union, nevertheless issue their own Euro Coins. 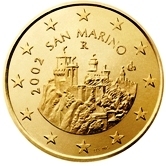 San Marino is, by the way, the world's oldest surviving republic. 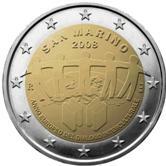 San Marino is one of the few members of the Eurozone that has a different motif for each of the eight coins. 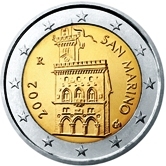 The San Marino Euro Coins all depict buildings and monuments in San Marino. 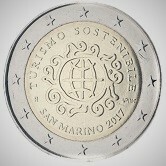 In 2017 San Marino issued a second series of Standard Coins. 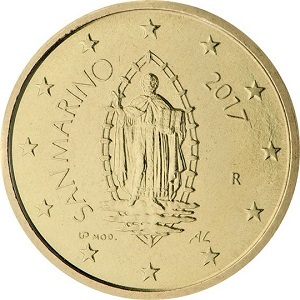 San Marino is the only Euro Coin country to have issued a new set of coins other than because of the death or abdication of the ruling monarch or pope as was the case for example with Belgium, Monaco and the Vatican. The third tower (Il Montale) dating from the 13th century. 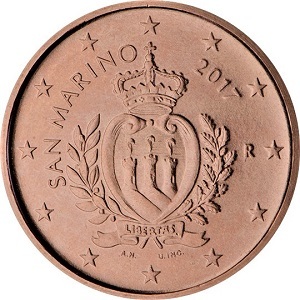 The official coat of arms of the Republic of San Marino. 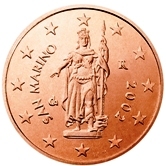 San Marino's "Statue of Liberty" by the sculptor Stefano Galletti. 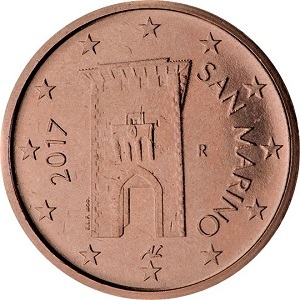 The famous City Gate of the republic of San Marino -built in 1361. This shows the first tower (La Guaita) which hails from around the 11th century. The Church of St Quirinus believed to have been built around 1550. 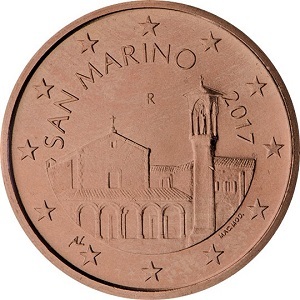 Basilica of St. Marinus(Basilica del Santo) built in 1826. 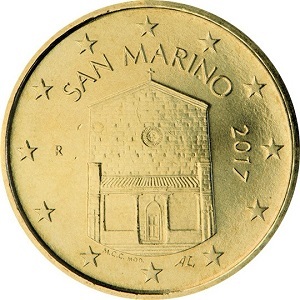 This coin features the Church of St Francis. 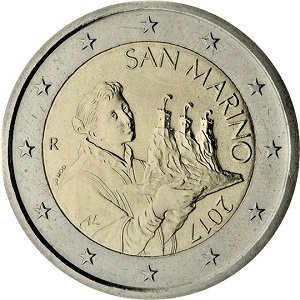 Depicted is St. Marinus , founder of San Marino. 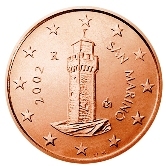 The founding date 301 A.D.
Mount Titano(highest peak in San Marino)with the three Towers is depicted on this coin. 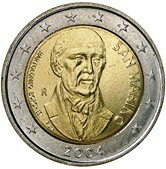 The 50-cent coin shows the portrait of Saint Marino, detail of a painting by Emilio Retrosi. 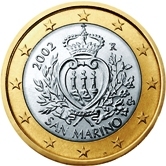 San Marino Coat of Arms. 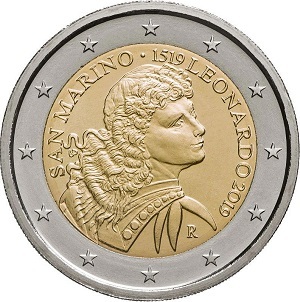 The portrait of Saint Marino,by Giovan Battista Urbinelli. 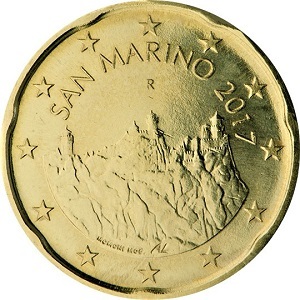 San Marino Commemorative Two Euro Coins. 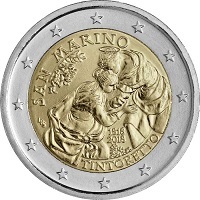 San Marino has produced a wonderful set of Two Euro Commemorative Coins, not missing a year since the commemoratives started in 2004. 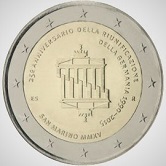 Although the three non European Union members in the Eurozone do not participate in the common issues, San Marino issued a coin in 2012 having exactly the same motif as the common issue of that year (10 year commemoration of the Euro as official currency). So in effect they "cheated" or if you prefer circumvented that regulation. At any rate , as collectors, I'm sure we're all pleased they did. 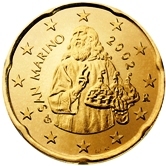 2004 - Bartolomeo Borghesi -a San Marino historian and numismatist. 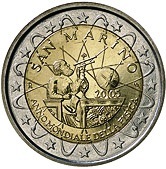 2005 - Celebrating the year of physics - the image of the famous scientist Galileo Galilei. 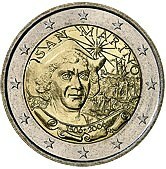 2006 - 500th anniversary of the death of Cristopher Columbus. 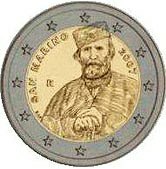 2007 - 200th anniversary of the birth of Giuseppe Garibaldi - a major figure in the unification and founding of Italy as a national state. 2008 - European Year of Intercultural Dialogue - depicted are five human silhouettes representing the five regions within the European continent. 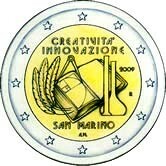 2009 - European year of Creativity and Innovation. In the inner ring a test tube, a compass and a flask - all representing research -are depicted. Also to be seen is a book . 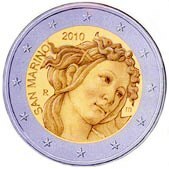 2010 - 500th anniversary of the death of Sandro Botticelli - an Italian painter of the Early Renaissance. 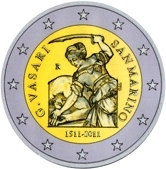 2011 - 500th anniversary of the birth of Giorgio Vasari - an Italian architect and court painter of the Medici's. 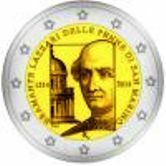 2012 - 10th anniversary of Euro Coins and Banknotes. 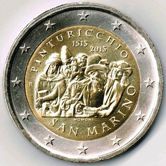 2013 - 500th anniversary of the death of the Renaissance painter Bernadino di Betto di Biagio normally known as Pinturicchios. 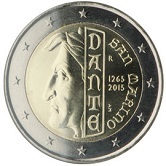 2014 - 500th anniversary of the death of Donato Bramantes. 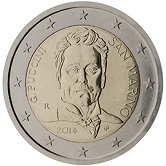 2014 - 90th anniversary of the death of Puccini. 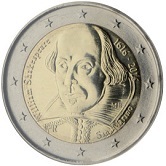 2016 - 400th anniversary of the death of Shakespeare. 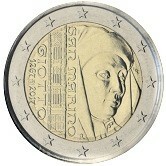 2018 - 500th Anniversary of the birth of Jacobo Tintorettos. 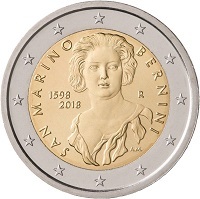 2018 – 420th Anniversary of the birth of Gian Lorenzo Berlini. 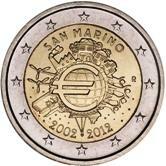 Return from San Marino Euro Coins to Links to Specific Countries. 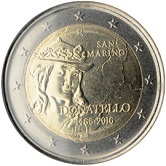 Return from San Marino Euro Coins to euro coin collector.